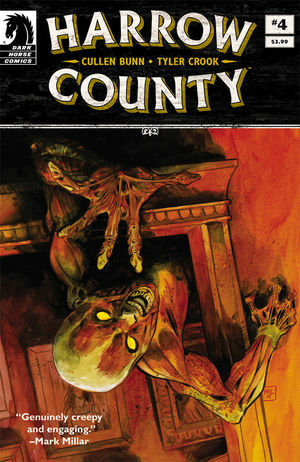 * Featuring two backup stories exclusive to the single issues! * The chilling ongoing series from Cullen Bunn and Tyler Crook (The Sixth Gun) continues! Poor Emmy has been running all night from her father, the townsfolk who want to lynch her as a witch and even herself as she wondered if she deserved to be killed. She ran into a dark thing who said she, or the witch Hester, had commanded it. Upset that she forgot about it, too. When she runs away from it, out into the road and is almost hit by a truck driven by the town pharmacist, who kidnaps her and takes her to his home. It is there he makes her remember who she really is and even who many of the local folk are. But I won’t give any spoiler here. But go get it—there are surprises in store. 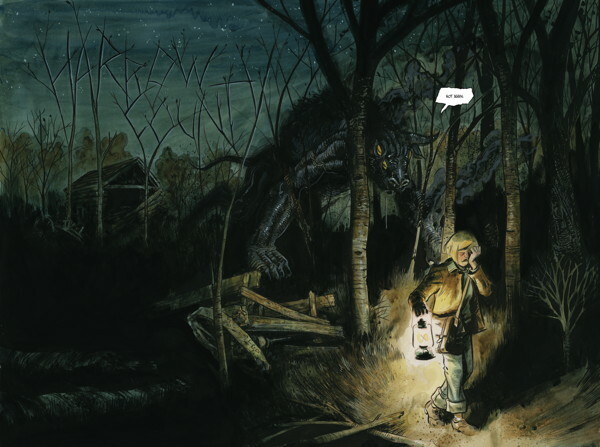 Harrow County becomes less and less a comic book and more and more a spooky folktale mountain folk told around the hearth on a cool autumn night in October, one about witches, demons, and ghosts. A creepy, graveyard of great animation that lures you in.